Once territorial wolves, dogs have evolved to become our dearest family member that we love to spoil. Sometimes, they’re even better companions than humans. Or at least more loyal. Although dogs are the cutest pets that we share the comforts of our home with, they are still canines that need lots of exercises, plenty of activity, mental stimulation, and a sense of independence. They need the freedom to run out and about as they please, dig a hole in the backyard, play with an insect, or roll around in the grass. When they’re confined inside with no activity, they might become bored and start displaying negative behaviour. Few things are as irritating as coming home to see torn pillows, scratched doors, and chewed on furniture. But what can you do to prevent their negative behaviour and let your pet roam free independently? Dog doors, doggy doors or puppy flaps, are a small portal in a wall, window, or a door. They serve as a doorway for your pet to roam freely from the comfortable indoors to the vast outdoors, and vice versa. They come especially handy if you’re clocking long hours at work but don’t want to leave your friend trapped inside the house all day. They’re also particularly useful when you want to sleep in on a Sunday morning. Your dog can simply get outside on its own without any help from you. They conveniently let your dog come and go as it pleases, while at the same time keeping your home insulated, secure, and accident-free. The perks are multiple and the downsides are basically non-existent. What are the benefits of installing a dog flap? Their popularity is a result of the many benefits pet doors offer to dog owners. First and foremost, they provide undeniable convenience to any dog owner, especially to those who are spending long hours at work or are regularly taking daily trips somewhere. Once you install a pet door in your home, you can travel carelessly without worrying about the well-being of your four-legged friend. What’s more, your dog will have the freedom to move in and out as it pleases. 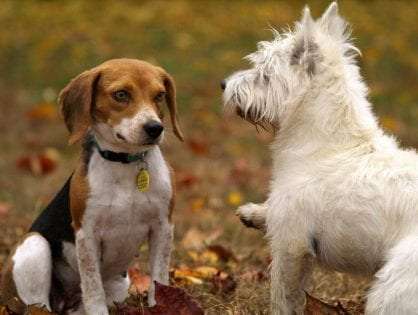 Your pet can engage in canine behavior uninterruptedly, like playing with a bug, running without restriction, and socialising with other animals. When your dog gets bored, it can slide through the flap and run freely in the backyard. Once it gets tired, it can easily retreat into the comforts of your home. Sounds great, doesn’t it? Spending ample time outdoors can be mentally stimulating for your pup. The outsides will keep your dog mentally challenged and in great mental health. Smelling and hearing the great outdoors will help your dog stay alert and psychologically stable. Staying mentally stimulated will prevent your dog from becoming bored. And as many dog owners know, boredom leads to chewed-on furniture, scratches on doors, and unrolled toilet paper on the bathroom floor. By having the freedom to move unrestrictedly, your dog won’t display ill behavior and your home will stay in top shape. Most importantly, pet doors are easy to install. The installation will only take a few hours and your pet will be walking through it in a matter of hours. What are the Best Pet Door Manufacturers? Buying a doggy door is not as easy as 1 and 2. You need to measure the size of your pet, think of the most appropriate location, and find a reliable and professional installer. But what about the best pet door manufacturer? This can also be a confusing and challenging task. You need to think about their prices, quality, warranty, and features and specifications. Petway Pet Doors. Petway is an Australian manufacturer that designs high-quality doggie doors. The brand can be your ideal pick if you’re looking for a high-grade product at an affordable price. Their doors come in three sizes, small, medium, and large. You have a number of colours to choose from and many different functionalities. What’s more, if you live in Australia, you’ll be supporting local business. Ideal Pet Products. Ideal Pet Products has been a manufacturer of pet doors for over 30 years. They’re an eco-friendly company that’s designing energy-saving, hand-crafted, and high-quality doggy doors. You can choose between over 200 pet doors and pet product replacement parts. Some of the pet doors are available in 3 sizes, while others in 4. Sureflap. 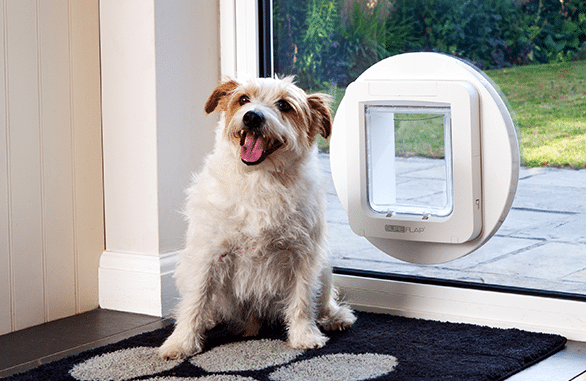 SureFlap is another reliable and well-known company that designs smart pet products. 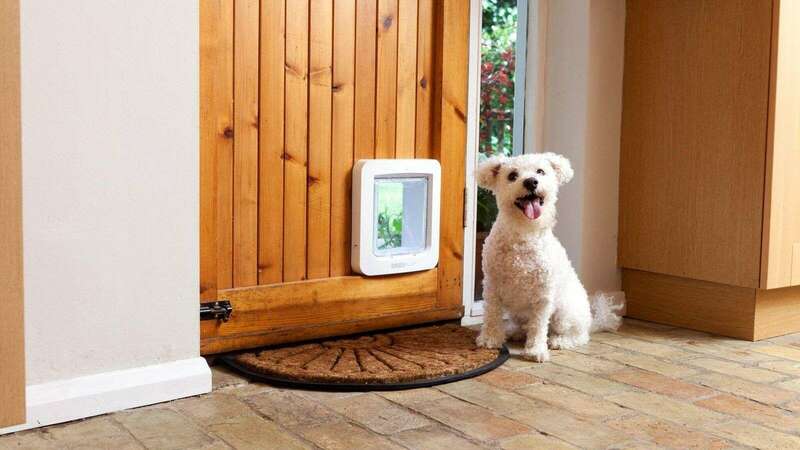 Their most-known product is the microchip pet door that can protect your dog and your home from unwanted visitors. You can find SureFlap’s products in many pet stores, pet door installers, and veterinary practices in over 15 countries around the world. Pet-Tek. Pet-Tek’s best-rated products are doggy doors made for glass and wooden doors. They ship to more than 20 countries around the world and pride themselves on their worldwide reputation and long-year production of products of superior quality. 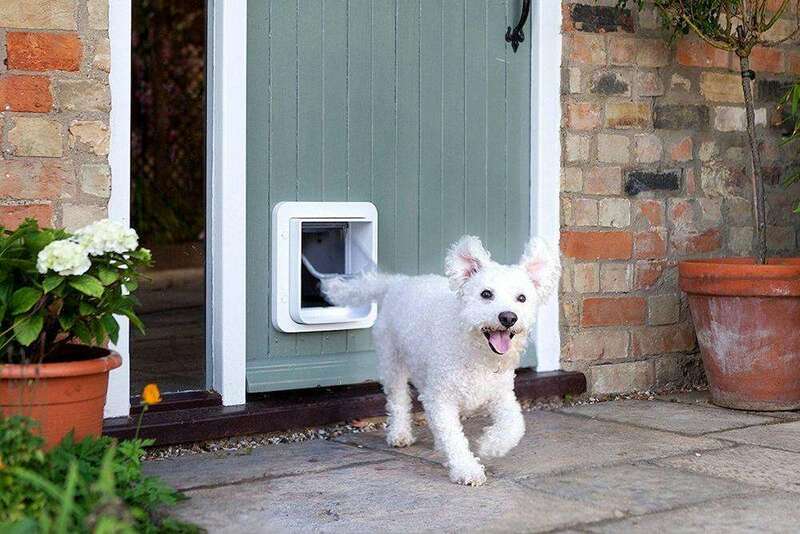 Doggy doors come in a wide range of features and different types, available sizes, and countless colours. Buying the best pet door requires extensive research and consideration. 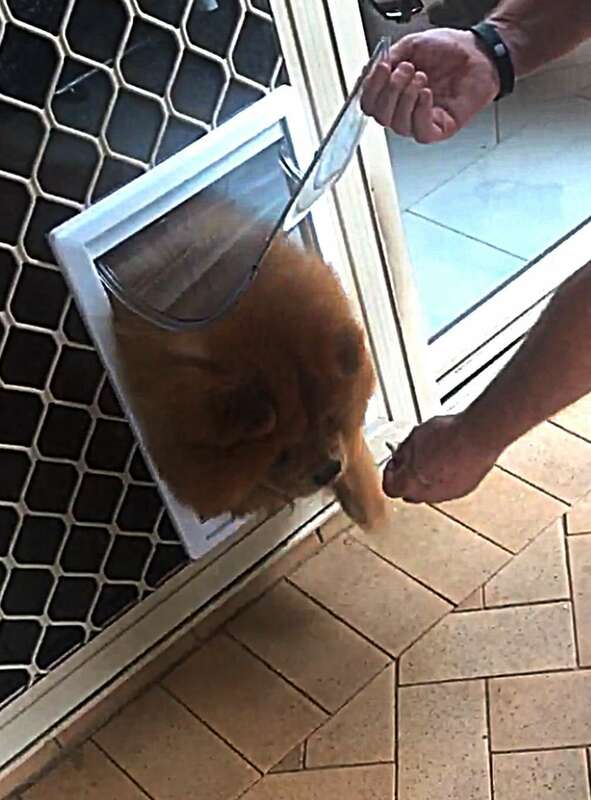 To help you make the best choice for your lovely home and your playful friend, here are the best types of dog flaps that you can find on the Australian market for 2019. The dog doors for screen doors are professionally designed to be installed into screen doors. They are durable and solid and can withstand any kind of weather that comes their way. You can find them in different sizes as well, including medium, large, and extra large. For example, if you’re a proud owner of a French Bulldog or a Beagle, then you should opt for a medium sized pet flap. If your dog is a Golden Retriever or a Collie, then you should get a larger size. The extra large ones are most suitable for breeds such as English Mastiff or a Newfoundland dog. Apart from a regular dog door for screen doors, you can also find various combos. The most common include timber and screen door combo, and glass and screen door combo. The timber and screen door combo is to be installed into screen and timber doors as a pair. These products come with a transparent flexible flap, making it easy for your pet to get through. Most of them have a magnetic flap that closes behind your dog and protects your home from unwanted visitors. In addition, you can find them in different sizes. The glass and screen door combo is designed to sit flush with your screen door regardless of the door type. Whether it be a sliding screen door, of aluminum grill and mesh, or perforated metal, these pet doors will cover any of these applications. Who is this door best for? They are ideal for people who are looking for an affordable but practical doggie flap. Moreover, they are suitable for those who are in search of a flap that can easily be installed into a screen door, without much hustle and bustle. The installation is fairly easy: you simply need to cut off a portion of the screen door, depending on the size you need and then place the door on the cut area. Follow this link to buy your dog door for screen door today. How much will it cost to install a dog door for screen doors? The price of the dog door for screen doors might vary, depending on the size of the door, the materials it’s made from, and whether it’s a combo or not. The least expensive dog doors for screen doors you can find cost around $15-$20, however, they might not be of the finest quality. It’s always a smart idea to buy a more expensive doggy door but also of better quality. It’s important to note that the two main factors that affect the cost of installing a dog door for screen doors are the materials used to build it and the homeowner’s choice to do the work themselves or hire a professional installer. If you choose to hire a handyman to help you with the installation, they might charge an hourly or a per-project fee. Keep in mind that the price of the installation will increase if the handyman provides the pet door. The cost of installation ranges from $120 to $300, plus the price for the pet door. These versatile glass-fitting products are suitable for single glazing, double glazing, and most sliding windows. They are a great way to give your pet outdoor access and the freedom to roam freely. Depending on your dog’s size, the dog doors for glass doors come in various sizes, from small to extra large. They are crafted from high-quality materials that can withstand any weather condition. With a self-closing magnetic flap, your dog will have no difficulties moving in and out by simply pushing the door. What’s more, your home will stay safe from stray cats and dogs. You might even find one with a 4-way locking feature that can secure your pet inside or outside, giving you peace of mind. The dog doors for glass doors are ideal for those who don’t want to cut their doors. The installation is easy and doesn’t require many tools. The best way to install one is by switching your existing glass door with a new glass door that has the pet flap on it. The new glass door panel will have a pet door installed at the bottom and your dog will be able to use it right away. Switching your door with a new one is a better option than cutting through the glass. By cutting through the glass, you’re risking dealing with cracks as a result of improper installation. Follow this link to buy your dog door for glass door today. How much will it cost to install a dog door for glass doors? The same as with dog doors for screen doors, the price for a dog door for glass doors depends on two main factors: the materials used to build it and the homeowner’s choice to do the work themselves or hire a professional installer. However, you should keep in mind that installing a dog door for glass doors is not a DIY task. It’s a delicate project that requires help from a professional handyman. Most of these doors are made of high-quality materials that can withstand the harshest of weather, have a magnetic flap, 4-way locking system, and a 3-year warranty. If you choose to hire a handyman to help you with the installation (which you should), they might charge an hourly or a per-project fee. Keep in mind that the price of the installation will increase if the handyman provides the pet door. The cost of installation ranges from $120 to $350, plus the price for the pet door. The dog doors for timber doors are designed to fit all types of wooden doors and panels of wood. They are very popular thanks to their affordability, convenience, and ease of installation. You can find them in various sizes, including small, medium, large, and extra large, depending on the breed of your pet. With their help, you can open a world of possibilities for your furry friend. They come with a solid and sturdy frame that can resist any type of weather. 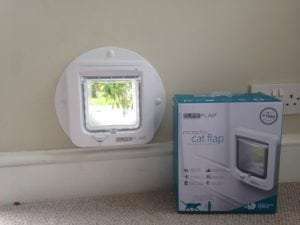 You’ll be surprised to find that most of them feature a magnetic flap that closes behind your dog and keeps your home safe from unwanted visitors. Some might even feature a four-way manual locking system to allow you flexibility with your pet’s movements. The dog doors for wooden doors are most suitable for pet owners who want a high-quality product without spending too much. Reasonably priced and aesthetically appealing, they are also a great choice if you’re looking for an easy installation. You can install this doggy door by simply cutting off a portion of the wooden door and then placing the pet door on the cut area. Follow this link to buy your dog door for wooden door today. How much will it cost to install a dog door for timber doors? The price for a dog door for timber doors depends on what type of door it’s going to be installed in and the type of door you buy. It also depends on whether you’ll install the doggy door yourself or hire a professional installer. If you want to do it yourself, you’ll need to follow the installation instructions carefully and be handy with tools. Most of these doors are made of high-quality materials that can withstand the harshest of weather, have a magnetic flap, impact-resistant frames, and a 1-year warranty. If you choose to hire a handyman to help you with the installation, they might charge an hourly or a per-project fee. Keep in mind that the price of the installation will increase if the handyman provides the pet door. The cost of installation ranges from $120 to $350, plus the price for the pet door. The dog doors for walls are designed to be installed through any wall in your home. They are a great option especially if the wall is your only option for installation. Your dog will have quick access to your backyard and an easy way back into your home. There are two common types: single flap doors and double flap doors. The single flap doors are suitable for smaller pets who might have difficulties opening a magnetic flap. These are more affordable than the double flap ones. Moreover, they are recommended if you live in moderate climate areas where solid insulation is not a necessity. The double flap doors offer better insulation for your home than the single flap version. If you live in an area with harsh weather conditions, then these are the better option for your home. The best part about the pet flaps for walls is that they can be installed in any part of your home. You can have them overlooking the backyard or the front porch. Most of these products come with a locking mechanism that guarantees your pet will stay safe and not wander away. The dog doors for walls are ideal for any pet lover who owns their home and doesn’t live in a rental as the installation process involves drilling. They are perfect for extreme weather conditions, whether it be sun, snow, wind or rain. They are a safe solution when you have the wall as the only option. How much will it cost to install a dog door for walls? 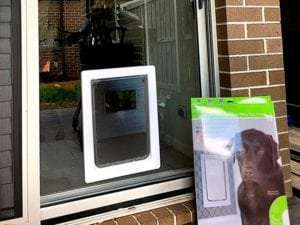 The dog door alone can cost anywhere from $60-$400 dollars, depending on the manufacturer, the materials it’s made from, and its functionalities. Wall installations usually range from $400-$1500, depending on the wall material. Some additional conditions that can increase the installation price include wiring, plumbing, air ducts, and electrical outlets. The microchip doggie doors allow dogs who wear sensor tags to enter or exit through the door. You can program these modern pet doors to let your dog out at certain times of the day and block their exit at other times. You can also program them to work with other pets in your home. However, all these added features make them more expensive than the other dog flaps. An added benefit is that they’re a great way to keep unwanted visitors away. 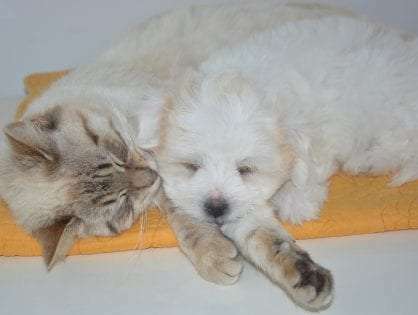 Moreover, they can store multiple pet identities in memory and remember all registered dogs and cats even when the batteries have been removed. The door will indicate with a red flashing light when the batteries start to run low so you can change the batteries, giving you plenty of time. The microchip dog doors are the perfect pick for pet owners who are fond of modern and automatic pet doors that come with many advanced features. They’re a no-hassle option for owners who don’t have the time to constantly monitor their dog’s location and movement. If you want to be 100% sure that no stray animals will enter your home, this is the product you need. Contemporary pet doors for a contemporary home. Follow this link to buy your microchip dog door today. How much will it cost to install a microchip dog door? Microchip doors cost around $200-$250, without installation. However, they’re only available for smaller sizes of dogs. If you choose to hire a handyman to help you with the installation, they might charge an hourly or a per-project fee. Keep in mind that the price of the installation will increase if the handyman provides the pet door. The cost of installation ranges from $120 to $350, plus the price for the pet door. The price depends on whether you want the microchip doggy door to be installed into a door (screen door, wood door, glass door), window, or wall. Most of the microchip dog doors are made of high-quality materials that can withstand the harshest of weather, have a magnetic flap, impact-resistant frames, and a 3-year warranty. Dog doors come in as many types as there are breeds. Doggy doors in glass doors, doggy doors in screen doors, microchip dog doors…the choice is endless. 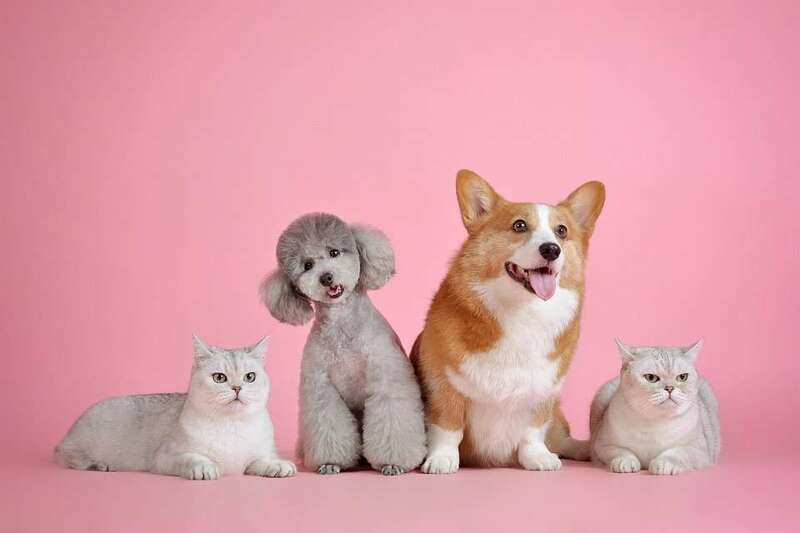 What you need to do is choose the one that catches your eye, decide on the most suitable location, and become a proud pet owner who cares for his four-legged friend. The installation will only take a few hours of your time but your dog will stay happy and healthy forever. The bond between you and your dog will only grow stronger and the joy will be abundant.